I woke up with anxiety this morning realizing it was February 1st and I had missed writing a “January ending” post. Yesterday was a full day. I had three potential writing projects I wanted to complete. I had piano lessons. There were the dailies: cooking, laundry, clean-up as always. I worked on what I thought was the most important in the afternoon. By evening, I was spent and writing does not come as easily then. I turned off the laptop and went to bed. Thus my anxiety this morning. I began to talk to my inner self, reminding her that I am the boss of my blog. There are more important things than writing a post. I let myself off the hook, gave myself some grace and went about my day today. There. I feel better getting that off my chest. January 2018 was cold, and then it was warm. It snowed causing canceled appointments and kept us home-bound. Then we played catch up. It’s Kentucky. What can I say. I bought a leather journal for the new year, first time I’ve ever had one so nice. After viewing all my journals in their various shapes and forms, I decided it was time to treat myself to something special since, obviously, my journaling is not a passing fancy. Sweet William gave me a custom-designed fountain pen for Christmas. It is my journal pen. I love the way it lightly scratches across the paper and the flow of the ink. I hope the rumors I hear are untrue, that cursive writing is out of fashion and obsolete in this keyboard generation. Cursive is an art form, one we should hold close and not throw aside because something new seems better, faster. Recognizing the writing style of friends and family or seeing a signature of a loved one is a sweet pleasure. Let’s don’t throw out the baby with the bath water. I am a whirling dervish in January, going through drawers and closets, cleaning out and repurposing things to the thrift store. It gives me a lighter feeling to let go of too much stuff as I head into the new year. It has caused me evaluate my thrift store “addiction” with a determination to use caution and restraint this year. Sometimes I organize myself into a corner and forget what I’ve done with things. Like the jar of hand cream I still can’t find. Sweet William and I celebrated our 46th wedding anniversary quietly this year. Take-out Chinese was our lunch menu, eaten in the comfort of home. We’ve celebrated lots of different ways these many years. In this cold, snowy month, I think to myself, “Who gets married in January?” We did. Let me mention a couple of good books and movies I enjoyed while snuggled in at the Wright House. 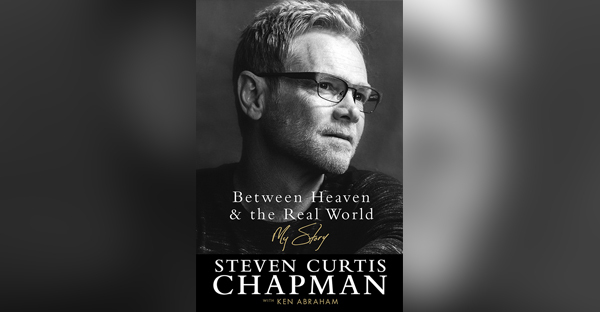 Between Heaven and the Real World is by singer/song writer Steven Curtis Chapman. We’ve been a fan of Chapman’s music for years. In his book he revealed an honest look at a family who achieved fame and success, who struggled with real life issues of marriage and children, who faced unbearable tragedy, and who still believe in a good God. I appreciate the words to Chapman’s songs even more now. 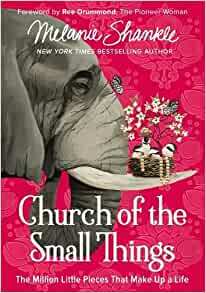 Church of the Small Things, by Melanie Shankle, was not what I was expecting. But it was entertaining and made me giggle. Melanie has a funny writing style, while telling great stories of life. She’s been a blogger for years and has written other books, some that made the New York Times Bestseller List. I will look for her again. Finding Normal was a DVD from my library. It was family friendly, and I just like Candace Cameron Bure. Signed, Sealed, and Delivered was another movie we enjoyed with a redemptive theme, because sometimes I want to feel good after I’ve spent two hours of my time. And now February begins with more weather weirdness, temperatures fluctuating from 50 degrees this morning and plummeting to the teens tonight, rain that turned to snow while my piano students wish for another snow day tomorrow. The good news is, as some celebrate the prophetic tendencies of the Groundhog tomorrow, winter will be half over and on the downslide. Stores display their Valentine reds and pinks, and I wonder if the second month of the year could truly be dedicated to showing kindness and love? We are all fellow travelers on this earth, and the road can get rugged and long. In the words of Steven Curtis Chapman, “on the good days and the bad days and the mad days, the happy and the sad days,” we could use some courtesy and forbearance, a little patience and tenderness. If we try, if we make a concerted effort, February might turn into a gentle reminder that sweetness is not just something covered in chocolate. Watch the old classic movie The Ten Commandments (with Charlton Heston as Moses). The Ten Commandments hit the silver screen in 1956, produced by Cecil B. DeMille with his “cast of thousands.” It was epic in its day, lasting 3 hours and 31 minutes and needing an intermission. 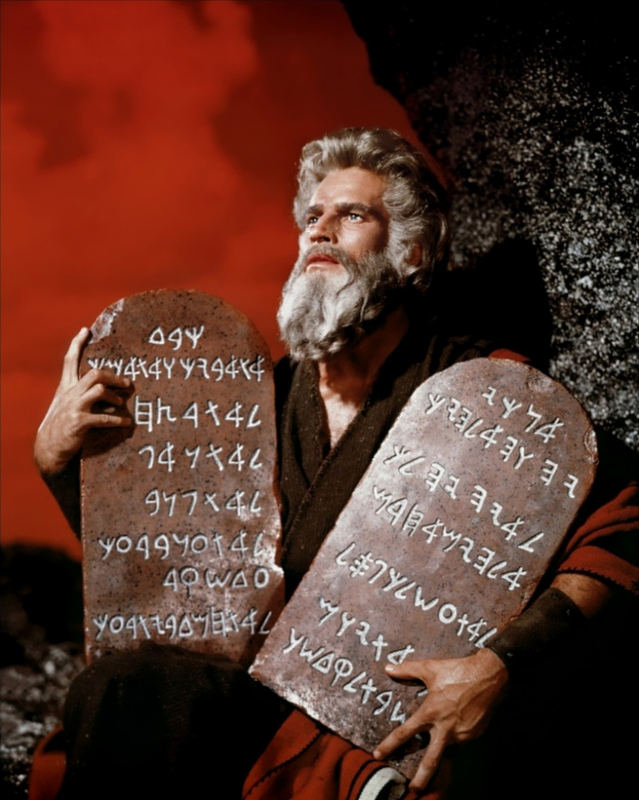 While it stands in the shadow of today’s high-tech animation and movie scenes that make us wonder what’s real and what isn’t, The Ten Commandments was still an amazing accomplishment for the mid-twentieth century. It fostered many a conversation. How did DeMille make it look like the water of the Red Sea stood as a wall while the actors and actress portraying the children of Israel walked through it to the other side? The story takes us through the beginning chapters of the book of Exodus, and while it weaves a fictional story within the Biblical account, it stays fairly true to the Scriptures, something I can’t say for a lot of movies coming out of Hollywood. One of my favorite scenes is the night of Passover, the shadow of the destroyer hovering over and through the streets of Egypt. The scene shifts to the home of Aaron and Miriam partaking of the lamb, the unleavened bread, and bitter herbs. The mournful sound of the Psalms is appropriate background for what is taking place in the land of the Nile. The law of God remains the same today as when it was given to Moses. God has high standards and requires holiness of action, thought, and motive. If only we could keep the law. But we cannot. Enter Grace. Mercy. Forgiveness. All of this is from the hand of a God who can divide a sea and love us in spite of ourselves. So catch a rerun of The Ten Commandments on TV or get a loan at the library. Pop some corn and watch it as a family. Discuss what is Scriptural and what is fictional. See what conversation comes from the time spent together. Deuteronomy, another book written by Moses, records an important command to parents to tell their children what God did for them all through the day and all along the way. It is just as important for us today, for parents and grandparents, for teachers and influencers of young minds. We must tell them about a God who loves them and a Savior who died for them. We must. Even an old movie can give us an opportunity to talk about an amazing God.